PwC says artificial intelligence (AI) and the Internet of Things (IoT) are the most advanced of the emerging technologies in New Zealand and some Kiwi companies are already banking the returns. Augmented reality, 3D printing, drones and robotics will grow in disruptive significance in the next three years but AI will boost the global economy by US$15.7 trillion by 2030, according to PwC's Commercialising Innovation Report. 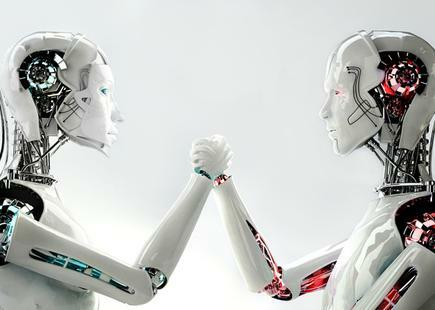 “Leading the way in the AI space are Kiwi companies and innovators like Soul Machines," says Andy Symons, partner and innovation leader, PwC New Zealand. "Their avatars could be amongst the first digital employees and are designed to work on well-known AI platforms and operate with realistic facial expressions and muscles as well as the ability to detect emotion in the person they are interacting with. “The avatars can provide the digital interface but as organisations increasingly look to use AI platforms to transform their businesses, data availability and data quality will become a central focus for them,” says Symons. 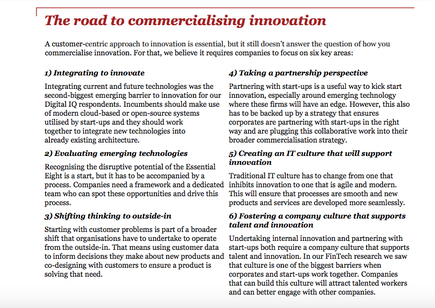 Building increased innovation into a company culture isn’t easy, according to PwC, but it’s something every organisation is going to have to focus on if they want to be future leaders. It requires commitment from all levels in the organisation. PwC says the impact of emerging technologies can already be felt across financial services, energy, healthcare, manufacturing, retail, government, automotive, transportation and logistics, and technology, communications and entertainment. “I believe that healthcare, government and financial services will be the sectors that will have a stronger focus on artificial intelligence. These industries have significant scale issues and they need to transform to align with customer expectations. They understand the fact that they need to take their customer service to a whole new level in a scalable, smart way,” states Symons. 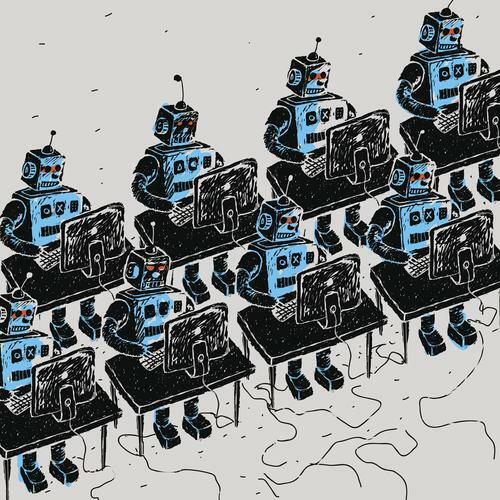 Over the last few years we’ve seen the emergence of robo advice, smart metering, automation of production processes, content and product recommendations, and more automated driving assistance, he says. He notes some of the long-term predictions organisation can look forward to are highly personalised financial services products tailored to match customer preferences, robot doctors, fully automated surgery, driverless and on-demand public transport, improved renewable energy management and 24x7 smart customer services that empower consumers and businesses and make lives easier. “These are just the solutions we can predict now but potential opportunities for commercialising innovation will come from areas we haven’t even thought of yet – this is the nature of disruption and the global market that companies now operate in,” says Andy. The role of business leaders is to remain focused on their enterprise strategy, to work through what AI might mean for them and their customers, and what talent and culture they will need to experiment in a fast, dynamic and cost effective way so that they can deliver on the potential that AI brings. “Smart organisations are already experimenting with incorporating AI driven solutions and propositions into their organisations. The successful ones will have a strong sense of their enterprise strategy and therefore how emerging technologies, including AI, will feed into the customer problems that they want to solve,” he says. "The solution to successfully commercialising emerging technology is to start with a strong vision and operating model and focus on the customer experience – not just the technology." Who owns the innovation process in your organisation? Is their focus purely internal or are they also identifying external partnership opportunities? Who do they report to? The CEO? Or another executive? How is your organisation identifying and generating new ideas to explore? Is this process technology-led or focused on customer problems? Does your company culture support or stifle innovative ideas? At what stage are you involving customers in the innovation process? 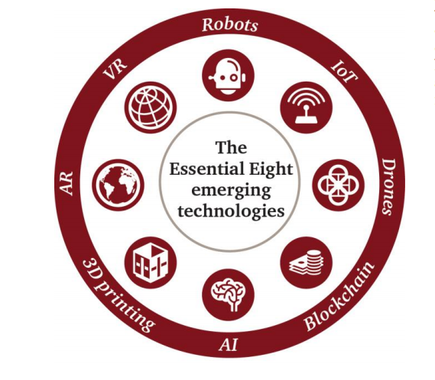 How advanced is your exploration of the Essential Eight and other emerging technologies? Are you focused on more mature technologies, or are you also exploring those that are still emerging? What’s the innovation process you’re using to turn ideas into viable products?